It features an electronic compass, a watch as well as stopwatch function. The stopwatch stores up to 99 lap and split times for up to 99 runs. A great way to keep track of your daily run or walk and see your daily progress! 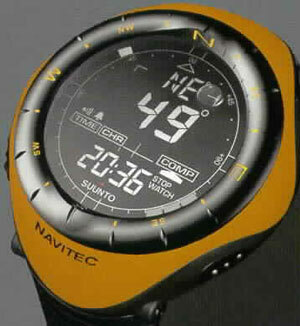 Navitec also features the dual time function. COMPASS shows bearing in degrees and cardinal or half-cardinal point. Bearing tracking function and declination adjustment. STOPWATCH with lap and split time measurement. DUAL TIME display. Professional Supply/Source, Inc., 931 Highway 80 West, #36, Jackson, MS 39204. Tel: 800-234-4884; Fax: 800-844-8410.